Woooooooh! 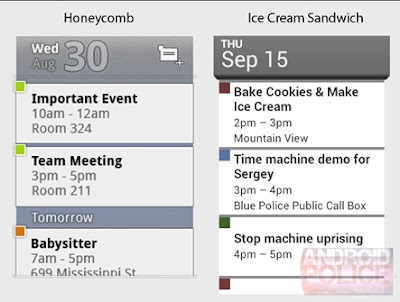 Somehow i discovered the first images of what might look like the new appearance of widgets Gmail , Email , and Calendar. With this, we learn that the application gallery now include a photo editor that offers a multitude of useful new features. Of course, this information is to be taken lightly, since they have not been officially confirmed by Google. Together, now discover the latest advances known about the next version of Android Ice Cream Sandwich. The version number has yet been specified many people think it would be the 4.0. Here, we notice that the interface has been refreshed. Although they may still be present on the widget, it still emphasizes the absence of labels (labels) that were in the previous version. Except for a lifting of the interface and icon, the widget has not been a big change, unless it adopts the same design as the Email widget shown above. It has been remodeled as the previous. However, we note that the add button was removed. Unfortunately, we do not know where this is applied on a temporary or permanent. Details: Initially, all the icons are white. They were placed on a black background in order to distinguish the graphs. Logic suggests that these icons are permanently displayed on the screen. At least the first six and six seconds through a panel brochure (?). 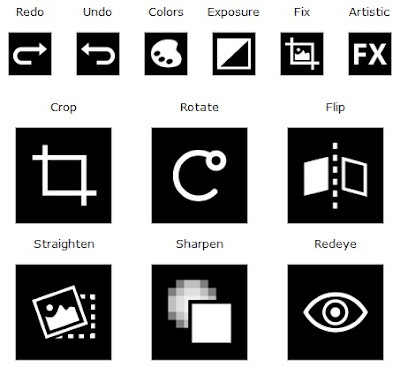 There are a total number of 19 effects available to customize images. Go a few more days to wait .. normally last a few hours.